I hope you had a happy Easter! After all the Easter cookies and celebrations I got back to work. 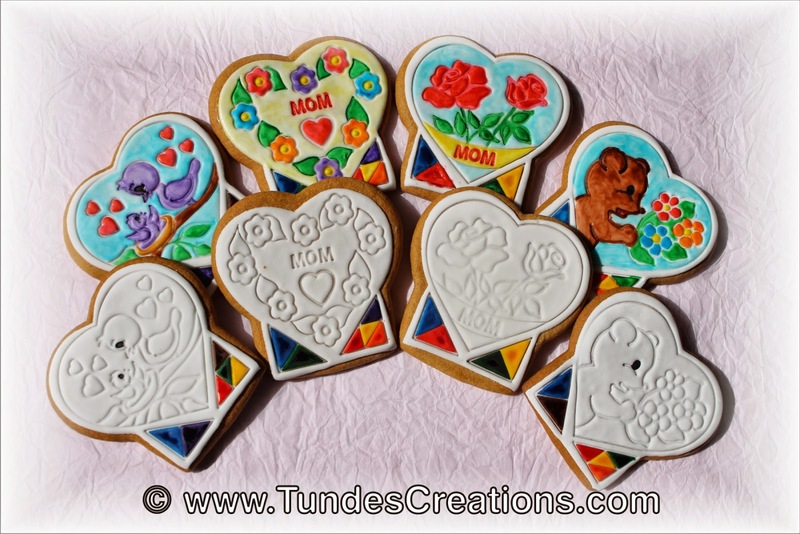 My kids and all their friends just loved the fondant covered coloring cookies, so I teamed up again with Cookie Cutter Kingdom, to create a new coloring cookie set for fondant. 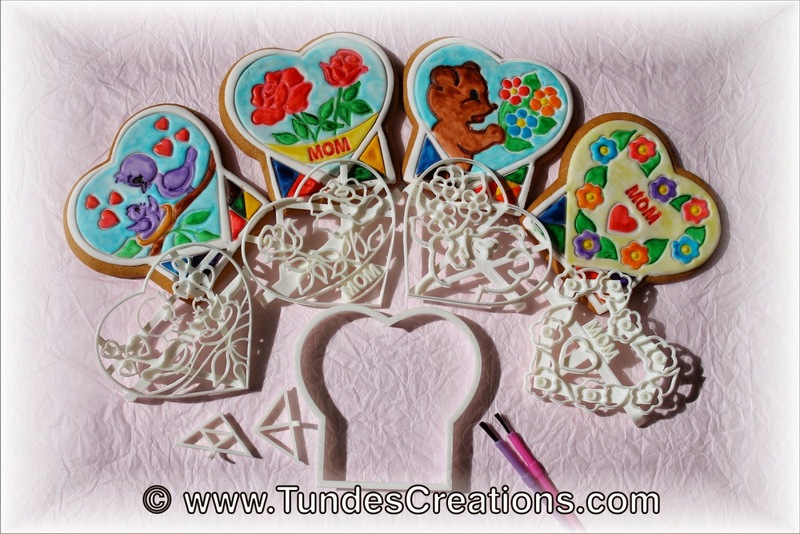 The Mother's Day set has a heart cutter, 4 different design stamp and two different palette stamp, that allow to decide if I want to add 4, 6 or 8 colors to the specific cookie. If you would like to see how to create this type of cookies, check out my post about the Easter coloring cookies. 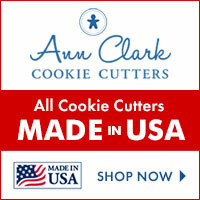 The cutter and stamps are available at Cookie Cutter Kingdom and we still get 10% OFF using coupon code FRIENDSOFTUNDE.